The 1971 recording is thought to be the first demo of the pop classic. Bowie can also be heard telling his guitarist Mick Ronson that he has not finished singing the song when he tries to end the recording. The Aladdin Sane star was yet to make his name and Hutchinson, then a teenager and aspiring musician, was unimpressed by what he heard. “I think it’s phenomenal now, obviously. Now I’m 65 and I played it, I just couldn’t believe how good it is. 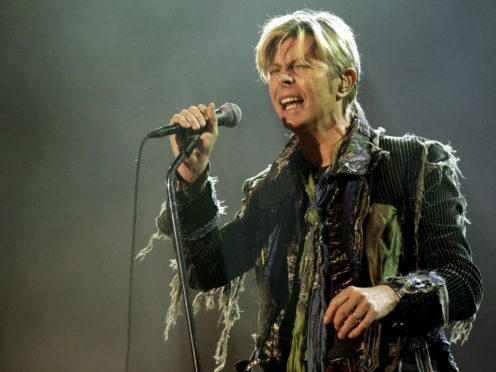 Hutchinson was handed the demo to help him learn the song in the hope it might help him snap-up his own contract, as a singer-songwriter, with Bowie’s manager. And so he labelled it David Bowie Rehearsal Tape. “I had a listen to it at home and then it got packed away into the loft. And that’s where it remained for nearly 50 years,” he said. The song, about a Starman who’d “like to come and meet us but he thinks he’d blow our minds” was released as a single in 1972 and featured in the Ziggy Stardust concept album, which catapulted Bowie into rock and pop stardom. Bowie can be heard chatting to his guitarist in the raw demo, which features just his vocals and acoustic guitar. The tape was stored with hundreds of others in a box which has been through several house moves. Dan Hampson, assistant auction manager at Omega Auctions, which is selling the demo, said: “In consultation with a Bowie expert, we can say with confidence that this tape contains a very early and possibly the first ever demo version of Starman. The demo, with a £10,000 estimate, also contains recordings of Bowie songs Moonage Daydream and Hang Onto Yourself and is up for auction on Tuesday March 12 at Omega Auctions in Newton-le-Willows.